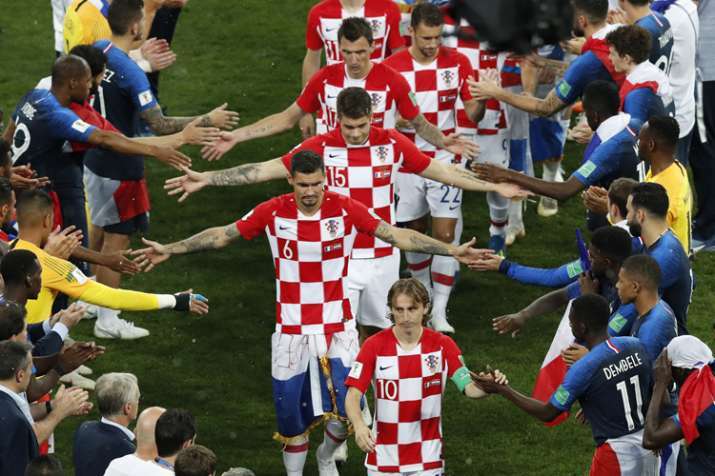 Disheartened Croatian players shake hands with French ones after the loss. The rain hid Croatia's tears. After Luka Modric collected his Golden Ball award in a downpour, he shared an emotional embrace with Croatian President Kolinda Grabar-Kitarovic, both wearing the country's red-and-white checkered uniform.